Hello students! No we are not going back to the future but I did not put the correct day on the last blog. So I am covering my tracks. This past week has been Uber crazy! My husband has been very sick and still is. I have had doctor's appointments and had to go to Memphis to the ALS Clinic. The same day I was able to visit my brother who is in long-term rehab and getting his life together. Can I get an AMEN? It makes me so happy that I am able to see some prayers answered. I know he is on a tough journey and it will take hard work but I shower him with prayers every day. With Ken staying home from work I have been able to sleep a little longer and not be jostled out of bed at 6:30 AM. That has been a blessing and a curse because it has cut down on my reading, praying, and writing but I am well rested. We also had the honors banquet at the high school for our last little bird. That is a blog in itself and I will probably write it tomorrow. So I'm having a catch-up day. Students do you remember when Ms. Haymon and I had "Ketch-up Day?" We made t-shirts with red paint the color of ketchup and wore them as we caught ourselves up each semester? Our principal thought that we were cuckoo. She was the very straight-laced type and I'm sure Clarissa and I drove her kind of crazy. Students today's blog is about a very special day in my life. It was the birth of my older sister by 10 years, Judy. I have written letters to people I love to have when I am gone. But today is her big birthday of 60 years so I am going to share the letter I wrote long ago for her. Students, I hope you have siblings in your life that love you and cherish you and want the best for you. Just putting this down makes me cry. A life without this wonderful sister would have turned out so much differently. I guess you can say she is my George Bailey and I am her kid sister. So without further ado here is my letter to my wonderful loving sister and I hope you get 60 more wonderful years. If you see her today, give her a big hug. She has the best hugs. Are you lucky enough to have siblings? Some may say, "Yes, but we can't stand one another." Others may say, "I'm an only child and wish I had brothers and sisters." I say, "I was blessed." There are five of us. Each of us born in different seasons. The love we have is so deep and has helped each of us In this earthly life. I've always pondered birth order. I was number 5. I know that being the youngest has its cons but I reaped many benefits. My siblings always wanted the best for me. They wanted to buffer me from the struggles they had from growing up with an alcoholic father and all of the trimmings that goes with it. They survived so much. When I hear their "war stories" my heart hurts. They insulated me and gave me the childhood they wanted. Selfless. I owe so much of my self-esteem and well being to my sister, Judy. I wish everyone had a "Judy." The world would be righted. I truly believe that. I always tease her that she is our Mom's favorite. When I call my mom she'll say, "Who is this?" I reply, "It's not your number 1 Judy! It's Sarah, your number 5." Then we laugh and she assures me she loves me, too. But she's right, Judy is so special. When I was born, Judy was ten. She immediately fell in love with me. She had been gifted a living baby doll which is every 10 year olds dream. With today's technology, the dolls are so life like. They cry, poop, pee, and eat just like I did two scores and 10 years ago. (Students remember what a score is?) 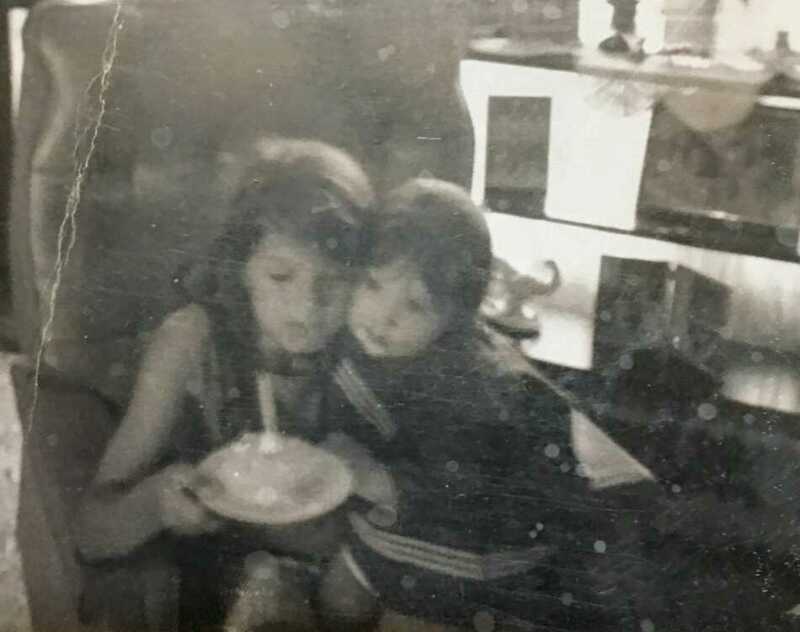 My sister loved every icky part of her little sister. That deep love permeates to your bones and seeps into your soul. To have it is unparalleled. She never forgot me. I cried so hard at her wedding because I just knew I would lose her forever. I didn't. She always let me stay all night and encompassed me in every season of her life. She was and is always there for me. She still gives me her attention and time decades later. When your baby sister gets ALS, it's the worst. I'm now babylike once again. She showers me, shaves my legs, feeds me, and enjoys adventures with me. It is an amazing love. I have a special bond with Judy but because of all my siblings love and selflessness, I was able to beat the odds. I was nurtured and had security. They gave me opportunities and strengthened my self-esteem. When I crossed the stage to be the first ever to receive my college degree, they were the ones who were the proudest. The bond between us can never be broken by greed, jealousy, addictions, anger, or even death. I'm still beating the odds living with dignity, not dying with ALS because of them. Our lives are entertwined and for that I thank God for siblings.